Dunedin Star (1936) ran out of luck in a big way on 29 November 1942. 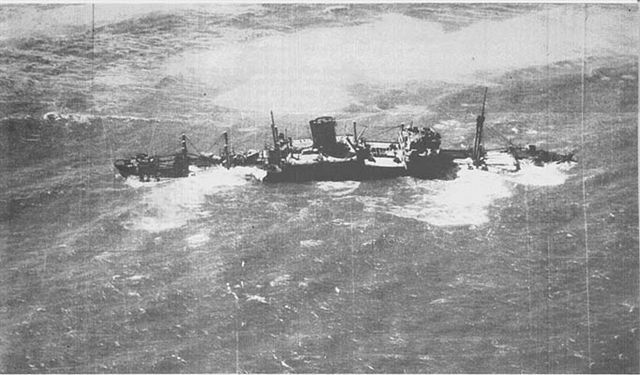 Dunedin Star, approximately two months after she was run aground. 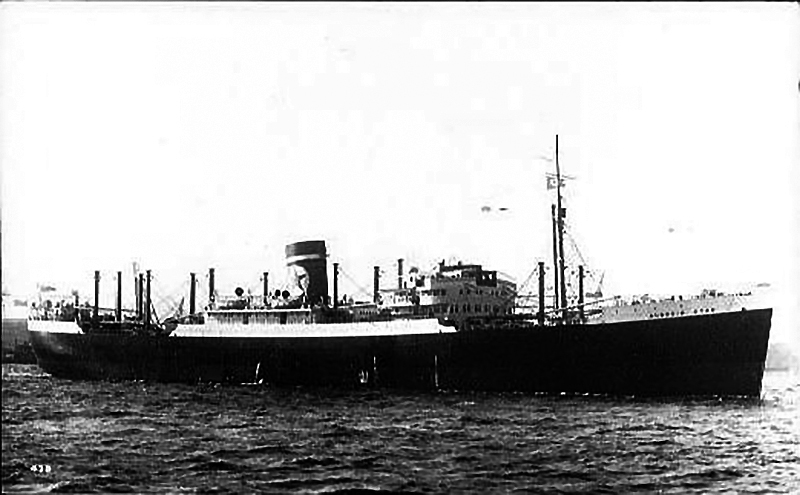 On that day the Blue Star Line vessel, en route from Liverpool to Saldanha Bay, South Africa, struck an underwater obstacle and began taking on water. To prevent her from sinking, the vessel—carrying 21 passengers leaving war-ravaged Britain as well as munitions and supplies—was run intentionally aground on the Skeleton Coast of South-West Africa (today’s Namibia). Soon, the really bad luck began. As passengers and crew were being evacuated, the lifeboat’s engine failed. Then, the first ship to come to Dunedin Star’s rescue also ran aground. Next, a rescue aircraft tried to land on the nearby coast, but dug its landing gear deeply into the sand and became stuck. To continue, click the NEXT button on the top of this page. Ocean Liners Magazine is a service of Oceanliners.org, a division of John Edwards Media.